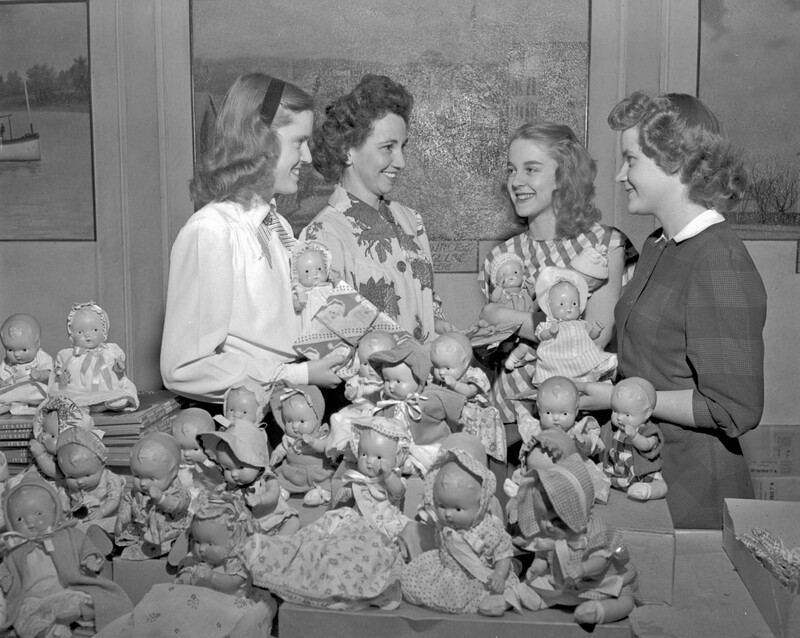 The four winners judged to have created the best dressed dolls for the Santa Claus Girls. Each year dolls would be given to individuals and groups who wished to sew and knit clothing to dress dolls for children whose families couldn't afford gifts. A large collection of dolls dressed for the Santa Claus Girls can be seen on the table.